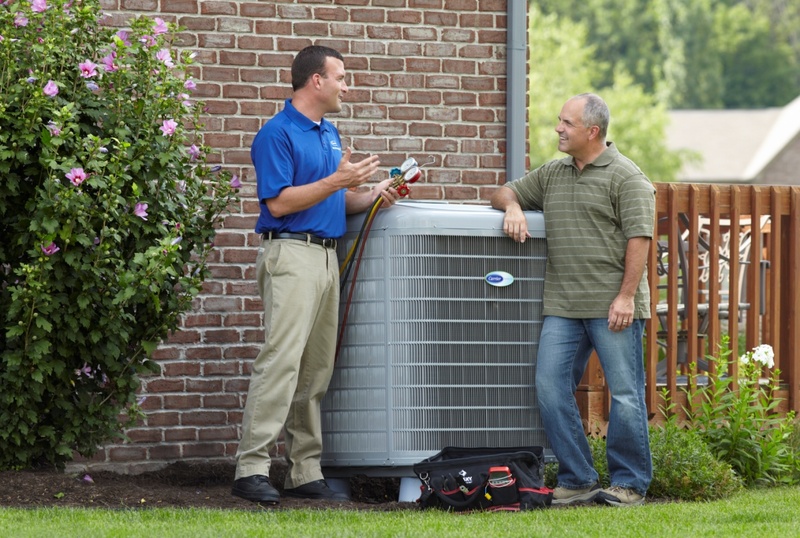 Do you have a Carrier Heat Pump? You need to know if your unit is a part of the recall. Call our office and let us help you. There is absolutely NO CHARGE. A heat pump can be used to provide both heating and cooling, making it an extremely efficient option and a great alternative to having a separate air conditioner. When properly installed, an air-source heat pump can deliver one-and-a-half to three times more heat energy to a home than the electrical energy it consumes. This is possible because a heat pump moves heat rather than converting it from a fuel, like in combustion heating systems. A heat pump essentially uses fuel to move heat from a cool space into a warm space, making the cool space cooler and the warm space warmer. During the winter, a heat pump extracts heat from outdoors and moves it into your house. During the warmer months, the process can be reversed and extracts the heat from inside your home allowing the furnace to circulate cool air. Ask R&B for a free in-home estimate to see what application is best for you. Thank you for promptly attending to our problem when we called you.